Excellent Condition. FUEL EFFICIENT 23 MPG Hwy/17 MPG City! 4WD, Chrome Wheels, Bed Liner, iPod/MP3 Input, Running Boards, Back-Up Camera, Hitch, TRAILER TOW PACKAGE, TRANSMISSION: ELECTRONIC 6-SPEED AUTO..., Non-Smoker vehicle SEE MORE! 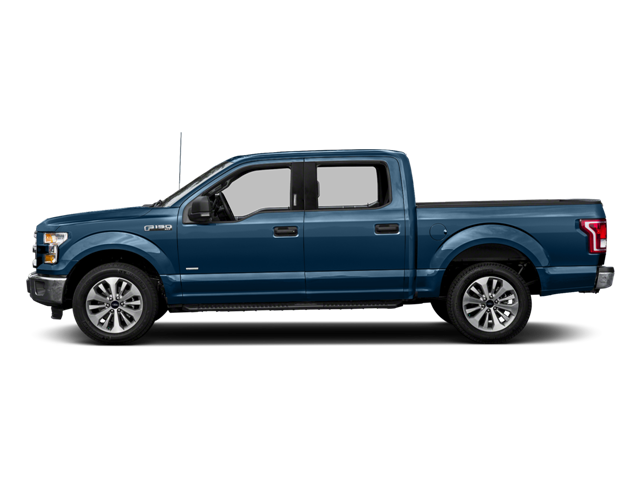 Back-Up Camera, Running Boards, iPod/MP3 Input Ford XLT with Blue Jeans Metallic with Magnetic Metallic exterior and Medium Earth Gray interior features a 8 Cylinder Engine with 282 HP at 6250 RPM*. Towing capability up to 11,100 lbs, Note: Ordering the Trailer Tow Package does not include Trailer Tow Mirrors, Trailer Tow Mirrors are a standalone option and must be ordered separately, (Option Code: 54M or 54Y/59S), Auxiliary Transmission Oil Cooler, Class IV Trailer Hitch Receiver, towing capability up to 5,000 lbs, smart trailer tow connector and 4-pin/7-pin wiring harness, Pro Trailer Backup Assist, tailgate LED and 4.2" LCD productivity screen in instrument cluster, Upgraded Front Stabilizer Bar, Custom Accessory, 4-way adjustable driver/passenger headrests, tow/haul mode (STD), (STD). MP3 Player, Privacy Glass, Keyless Entry, Child Safety Locks, Steering Wheel Controls, Electronic Stability Control, Bucket Seats. Non-Smoker vehicle. Pricing analysis performed on 9/7/2018. Horsepower calculations based on trim engine configuration. Fuel economy calculations based on original manufacturer data for trim engine configuration. Please confirm the accuracy of the included equipment by calling us prior to purchase. Hello, I would like more information about the 2016 Ford F-150, stock# T16366. Hello, I would like to see more pictures of the 2016 Ford F-150, stock# T16366.